Streak-free cleaning removes grease and grime on glass, stainless steel and other surfaces. Cleans to a shine with no filming or streaking. Removes smudges, fingerprints and more – fast. 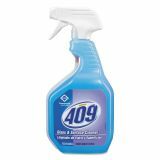 Formula 409 Glass & Surface Cleaner, Spray, 32 oz - Formula 409 Glass and Surface Cleaner powerfully cuts through the grime found on many surfaces such as glass, mirrors and stainless steel. 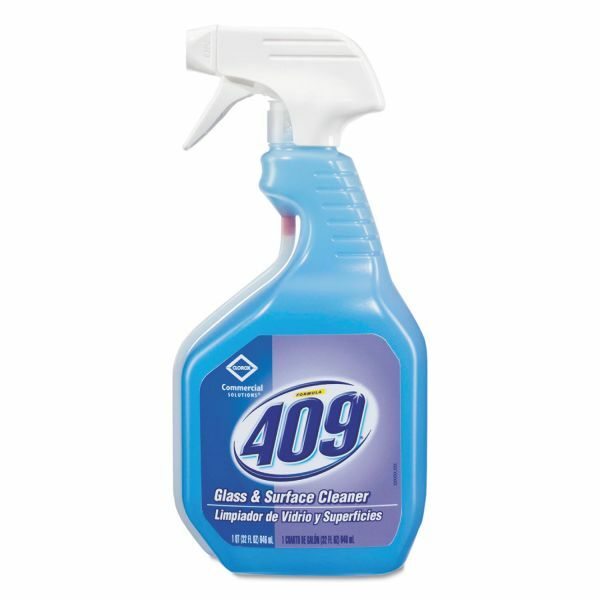 Formulated for streak-free, crystal-clear surface cleaning, Formula 409 Glass and Surface Cleaner removes smudges, fingerprints and more - fast. 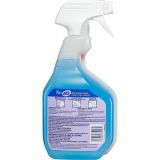 From Clorox Commercial Solutions, this spray cleaner is perfect for use in commercial kitchens, offices and schools. Spray every drop with Smart Tube technology that reaches to the very bottom of the bottle. Ideal for use in commercial kitchens, offices, schools and other business facilities. Do not use on film-tinted windows.